The brouhaha over Hilary Rosen’s comments was not really about whether what stay-home mothers do is work. 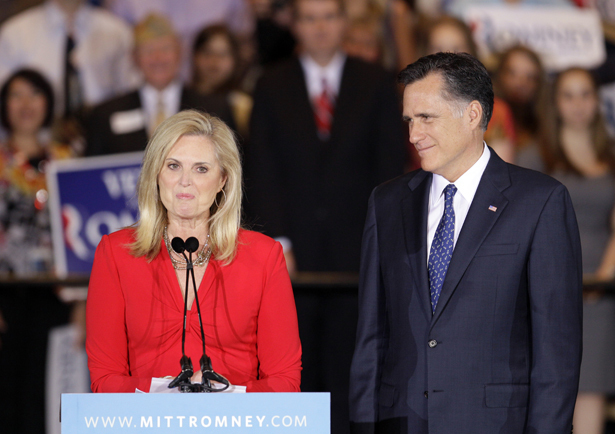 Has Ann Romney ever worked a day in her life? CNN pundit Hilary Rosen, not a Democratic strategist, said no way, prompting torrents of outrage from Fox, Republicans and New York Times columnist Frank Bruni, who loves his mother very much. Bertrand Russell, in his witty essay “In Praise of Idleness,” wrote, “What is work? Work is of two kinds: first, altering the position of matter at or near the earth’s surface relatively to other such matter; second, telling other people to do so.” Clearly, between the houses and grounds, the five kids, the Cadillacs, the husband, the business socializing, the campaigning and, let’s not forget, that dog, Ann Romney has altered the position of much matter. Since it is not possible to run smoothly a multimillion-dollar multi-mansioned domestic establishment for seven people without at least some paid help, I’m guessing she probably instructed others in the proper positioning of matter as well. By Russell’s definition, Ann Romney has probably done a lot more work than I have. I sit at my desk and hours go by in which I seem to have hardly altered the position of anything, including myself. All of which goes to show that it is not really possible to disengage domestic work from its social, gendered context: the work is valuable if the woman is valuable, and what determines her value is whether a man has found her so and how much money he has. That is why discussions of domestic labor and its worth are inextricably bound up with ideas about class, race, respectability, morality and above all womanhood. You can talk all you want about equal parenting; nobody is raising his son from earliest childhood to see as the most important job in the world being a stay-home father dependent on a high-earning wife. Nobody says to men in college, “You can be a physicist, or you can be a homemaker—it’s your choice!” Sure, there are fathers who stay home with kids—about 150,000 of them, compared with 5 million stay-home mothers—but not as some socially hallowed mission. Society gives men all the parental kudos they need for showing up at the school play, making pancakes on Sunday and exuding some kind of vaguely benevolent authority. Do you think Mitt lay awake at night wondering if he was a bad person for slaving away at Bain Capital and making Ann change the stinkier diapers? If he was a woman, he’d never have gotten a good night’s rest.